The plugin can handle the various possible components of the ical spec. 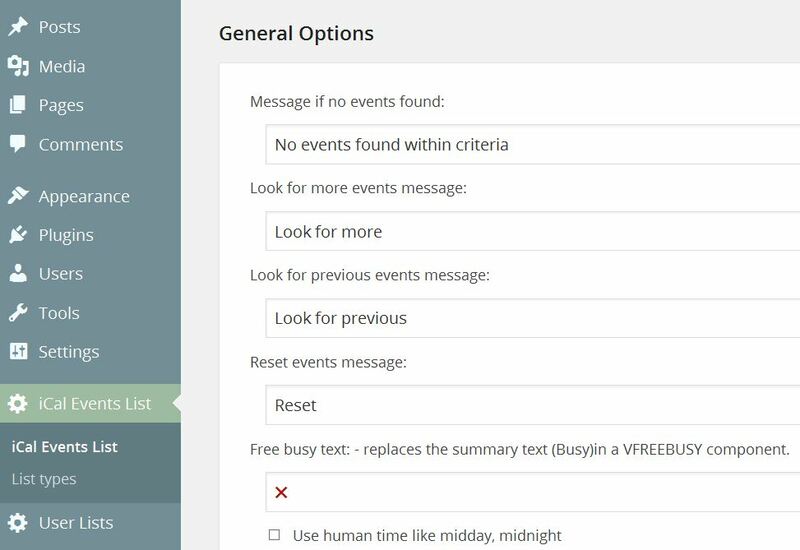 For example you could specify that only freebusy information be displayed by your ical generator, not the event details. 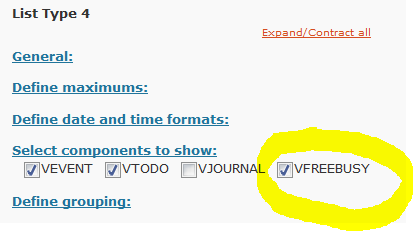 VFREEBUSY entries define busy periods, not available periods. 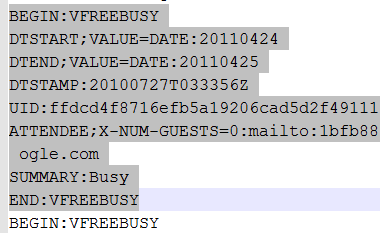 They can be any duration and different VFREEBUSY’s can be of different durations. To do this, your ical editor must allow you to specify that only ‘freebusy’ be made public. the SUMMARY text ‘Busy’ is a constant. In availability calendars usually one does not display the excerpt or description. If you do display excerpt or description they will have the translated text of ‘Busy’. They will not display the text (default big red X) in the freebusy text setting.